McMullan Halstead, now McMullan & Brown, was established in 1988 and almost immediately obtained a breakthrough court decision which was detailed in The Wall Street Journal and other national publications. The firm's founder, Marian McMullan, was previously employed by a title company for many years and, therefore, brings a practical view toward real estate issues. Besides the quality product the clients receive, the firm employs bright personnel who exhibit enough energy needed to give fast and enthusiastic service to clients. Real estate issues generally require the ability to perform with composure instantly in an emergency situation. 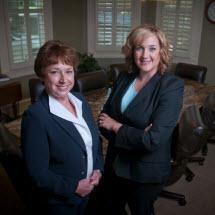 The firm is not intimidated by its larger-sized competitors as evidenced by its prestigious client list.